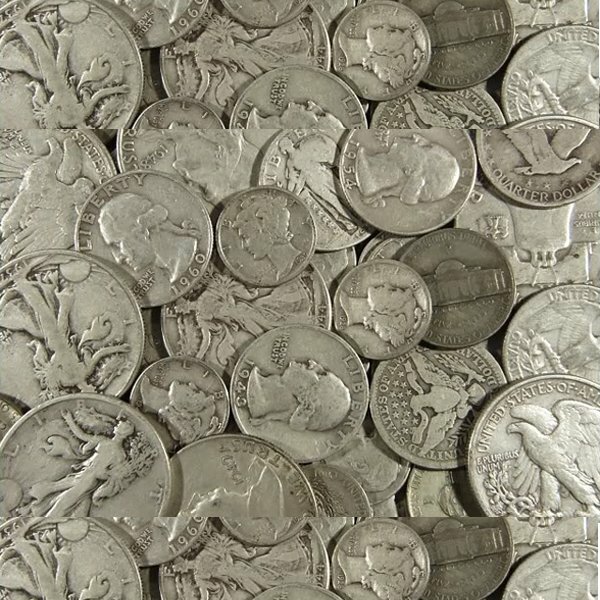 This is a great way to buy Silver, each $1 face value of 90% Silver coins contains .715 troy ounces of Silver weight. You could order the quantity you want in face value terms. Each $1 face value purchase will contain mixture of denomination of coins. You will receive Dimes, Quarters, Half Dollars all Pre-1964.